Licking County was fortunate to host author and developer Jack Schultz for a tour and discussion a few years back. 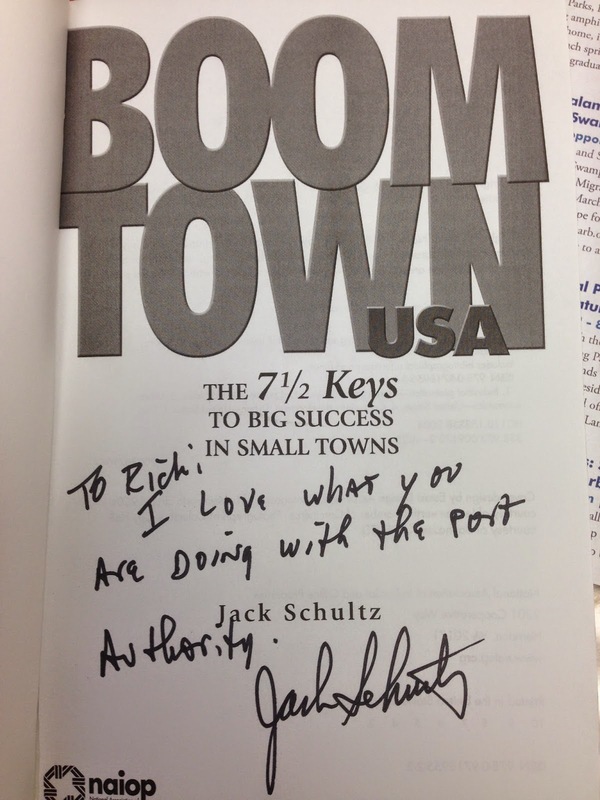 Jack, kindly, wrote a note in my copy of his book Boomtown USA. He also writes a weekly column that I read almost religiously called the Agurban. The latest Agurban is titled "America's Advanced Industries" and cites a recent Brookings report that shows that 50 industries employ 9 percent of the total U.S. employment yet produce 17 percent of all of the U.S. GDP. These 50 industries are the STEM industries that employ 80% of the U.S. engineers, generate 90% of private R&D, and account for 60% of all U.S. exports. The manufacturing and services found on our Port Authority's Aerospace and Technology Center campus are also found on this list--aluminum production, aerospace products, navigation instruments, engineering services, and medical diagnostics just to name a few. Read the Agurban and also see the full report from Brookings.